U.S. Border Patrol agents rarely are held accountable over shootings, and investigations are done in the dark, an Arizona Daily Star investigation has found. 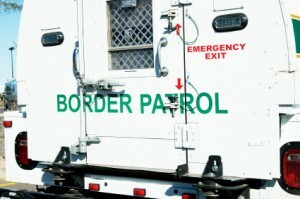 Scrutiny on the federal agency is increasing after several well-publicized border shootings. Over the past three years, Border Patrol agents have shot at least 22 people. Some agents have also been killed. The Daily Star also wrote that agents are given the benefit of the doubt, and prosecutors rarely take the cases.